Intermittent fasting can improve your health and increase longevity. While the most popular fasting method involves drinking massive amounts of water, there’s another way to do an intermittent fast known as Dry Fasting. Here’s all you need to know about it. Why dry? This type of fasting takes water out of the equation. If the first question that pops into your head was “wouldn’t I get dehydrated?”, you’re in good company. Most people brush off dry fasting as something dangerous that should never be attempted, and there’s a lot of misinformation out there that fuels this fear. 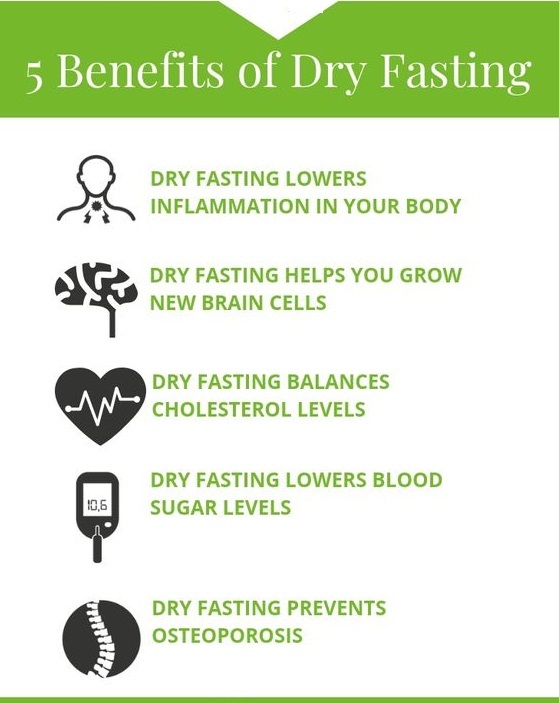 Dry fasting can be extremely beneficial to cell regeneration and repair. And dry fasting can be done safely as long as you take all the steps necessary to do it right. 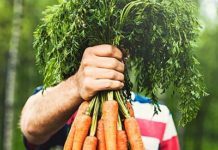 In this article you’ll learn everything about how dry fasting works, why it works, and if you should try it. 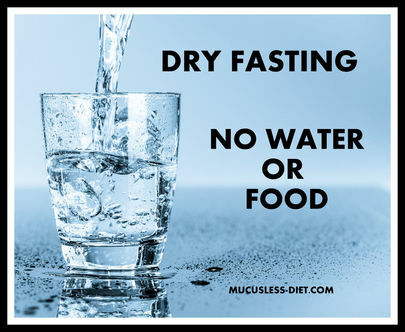 Dry fasting is a type of fast that doesn’t allow any water intake. The lack of water may help accelerate some of the protective effects you get on a regular water fast, like reduced inflammation and metabolic health. However, it’s a more advanced fasting method that only people who have previous experience with normal fasts should attempt. It can be easier to undertake it if you’re on the ketogenic diet because your body will then be able to sustain itself during the fast without hunger pangs, cravings, or even thirst. Dry fasting is lesser known than water fasting and often considered dangerous, but did you know that millions of people around the world actually do an dry fast for a month each year? Just like regular fasting, dry fasting can be intermittent or prolonged. 16/8 intermittent fasting: You’d eat in a window of 8 hours and fast for 16 hours. This is the most common type of intermittent fasting. 20/4 intermittent fasting: You’d eat in a window of 4 hours and fast for 20 hours. This is less common. 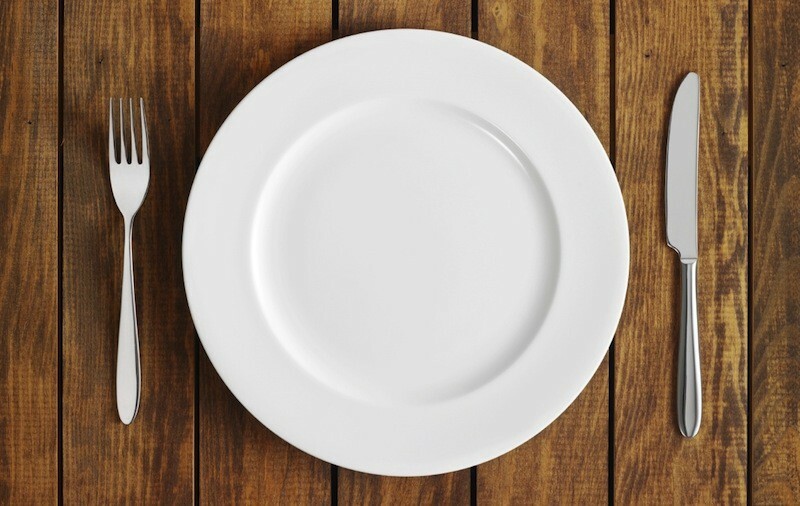 The dry fast done by Muslims during Ramadan is often called Ramadan Intermittent Fasting (RIF) because it mimics a traditional intermittent fasting. People consume one meal in the morning, abstain from food and water for 10-18 hours a day, and then eat dinner late at night. This refuels their body before the next day’s fast. Intermittent dry fasting is the best approach because it lets you to reap the health benefits of the fast without endangering your health. A prolonged dry fast is when you go without food or water for over 24 hours. This is not advisable because the extended lack of water can harm your health. Water is vital for the function of all your organs, so a dry fast should be kept short. Some sources make a distinction between a “soft” and “absolute” dry fast. A soft dry fast is a common fast that allows external contact with water (like showering or swimming). The absolute dry fast is an extreme approach in which you can’t have any contact with water, even bathing. However, there are no science-based benefits to doing an “absolute” fast, so you can stick to the normal soft fast. You may wonder if a dry fast has any serious advantages over a water fast that will make it worth your while. 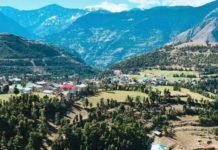 Even though most of the research on fasting has been done on the water-based version, emerging research, as well as studies on religious dry fasts, show some serious benefits to forgoing water. Dry fasting on the keto diet is easier because you’ll experience less hunger, less thirst, less discomfort, and your body can produce more metabolic water from fat. One study compared the effects of eating a meal high in fat, protein, or carbs before a traditional 12-hour dry fast. People who ate fat before fasting had the lowest amount of discomfort compared to people relying on carbs or protein, and they also experienced less hunger and thirst compared to the high-protein group. Post-fasting systolic and diastolic blood pressures decreased significantly. Fasting while on the ketogenic can also improve brain function and energy, because the blood-brain barrier becomes more permeable to ketones during any type of fast. When you’re dry fasting, your inflammation levels plummet. TNF-α: This molecule is able to induce fever, inflammation, and cell death. It can increase the chance of Alzheimer’s disease, cancer, psoriasis, and inflammatory bowel diseases when it’s not properly regulated. IL-1b: Important mediator of inflammation and is linked to heart failure. IL-6: This proinflammatory molecule can worsen autoimmune diseases and infections. 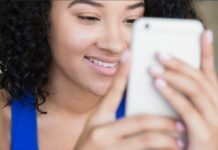 It’s associated with a higher risk of diabetes, juvenile rheumatoid arthritis, and further malignant growths in people with breast cancer. Intermittent dry fasting also reduces inflammation by decreasing the levels of leukocytes (immune cells), because leukocyte-derived inflammatory molecules contribute to inflammatory disease. By reducing inflammation, a dry fast can help prevent many degenerative diseases. Dry fasting can positively affect levels of triglycerides, good cholesterol, bad cholesterol, and total cholesterol. HDL (good) cholesterol levels increased in women. Total cholesterol and triglycerides decreased in men. LDL (bad) cholesterol decreased in both sexes. Interestingly, the quality of the fats you eat before and after your fast can affect your lipid levels. For instance, people dry fasting in Morocco had a significant reduction in total cholesterol and triglycerides even one month after the fast had ended. Meanwhile, people in Kuwait doing the same fast had no significant changes in cholesterol or triglycerides. This difference may be explained by the different fats consumed in each country. The positive effect on Moroccans was associated with a higher consumption of monounsaturated and polyunsaturated fatty acids, while Kuwait is more focused on saturated fat. If you eat different fats before doing a dry fast, you’re more likely to experience lipid control. A dry fast can also regulate blood sugar, another important metabolic marker. This is no surprise, considering that the protective effects of fasting are in part thanks to a 50% reduction in glucose and insulin-like growth factor 1 (IGF-I). Multiple studies find that after a dry fast, people have decreased blood glucose levels and increased insulin sensitivity. Thanks to its glycemic benefits, dry fasting may prevent the onset of diabetes. In Mormon communities who dry fast for 24 hours, studies find a lower incidence of diabetes. From the study groups, 20% of non-fasters had diabetes while only 10% of fasters had developed diabetes. Another study found that patients with type 2 diabetes who did an intermittent dry fast for 15–21 days had a significant reduction of hemoglobin A1c (HbA1c) levels, which is an indicator of the average blood sugar concentration. Lost water weight: At least half of your total weight is water weight (59% for men and 50% for women). When you dry fast, you’re bound to see a decline in total weight because of the reduced water in your system. Water weight is quickly gained back once you break the fast, so it’s not a reliable form of weight loss. Calorie restriction: The calorie restriction in dry fasting also helps with short-term weight loss, however, if you go back to eating higher levels of calories when the fast is over, you’ll gain the weight back. This is why dry fasting alone is not enough to lose weight and keep it off. However, if you combine it with the ketogenic diet you will experience sustained weight loss. One of the biggest concerns about dry fasting is dehydration. You would think that restricting water for half a day can’t be good for you, right? But it’s not that simple. When there’s no food or water, your body will try to burn stored glycogen if you’re not fat-adapted. This burning mode can last 2-3 days, so this would be the only fuel in an intermittent dry fast. Burning glycogen instead of fat will make your body produce less metabolic water and might cause more discomfort. You can take a shortcut and start burning fat from day one by adopting a ketogenic diet. Using fat from the start will help you stay hydrated, lower thirst, prevent discomfort, and enter ketosis much faster. Someone who has plenty of experience with water fasts and has had no side effects from them. People who aren’t prone to migraines or headaches. Someone who isn’t coffee or tea-dependent. People without any eye-related diseases. People who have never tried water fasts before, or those who have only done juice fasts. People who are prone to headaches or migraines, because a dry fast can trigger them. People dependent on stimulants like coffee and tea, because the withdrawal during the fast can cause headaches and moodiness. People with dry eye syndrome, glaucoma, or cataracts. Dry fasting has been shown to exacerbate the symptoms in these conditions. HOW LONG CAN I DRY FAST? An intermittent dry fast of 16 hours per day is ideal. Intermittent dry fasting has been the most researched, while there’s no evidence to guarantee the safety of dry fasts that last more than a day. Use the keto calculator to find your individual keto macros. Test the waters, literally. See how your body responds to water-based intermittent fasting instead of going cold-turkey on a dry fast. This step is the most crucial because it will tell you if your body is prepared to try a dry fast at all. Do an intermittent fast for a week in which you only eat 8 hours a day and spend 16 hours without eating (but drinking plenty of water). If you don’t experience any serious adverse effects like headaches or excessive weakness your body may be able to handle a dry fast. It’s advisable you quit caffeine or other stimulants one week before the dry fast to avoid withdrawal symptoms. You can also start to cut down on meals and daily calories to make the transition smoother. Now you can try going 16 hours without eating or drinking anything and rehydrating only in the 8-hour window. You can do this intermittent fast for as long as you want, although a few days is enough to notice any positive (or negative) effects. Thanks to the previous steps, you shouldn’t feel too thirsty, moody, or uncomfortable during the dry fast. Overeating after fasting can cause digestive problems like bloating and stomach aches as well as rapid weight gain, especially if you eat too many carbs. Transition out of the fast by eating in moderation and drinking plenty of water to hydrate your body. Excessive sweating will increase water loss, messing with your body’s efforts to maintain water balance. This can dehydrate you and make you light-headed. If possible, save your intense gym sessions for before or after the fast. You can also opt for light exercise instead. Ignoring your body’s signals is the worst mistake you can make on any fast. Pay attention to how you’re feeling throughout the dry fast and don’t hesitate to break the fast if you feel something’s not right. You might need to shorten the length of your fast or adjust some other lifestyle factors like exercise or caffeine. A dry fast can be safe if you follow the conditions above: keep it short, eat plenty of fats, rehydrate when you’re out of the fast, experiment with water fasts first, and pay attention to your body. You do it longer than a day. This can cause severe dehydration. You’re taking medications. It’s not advisable to fast while on medications unless you are supervised by a doctor. You try it without experimenting with other fasts first. You’re exposed to excessive heat or physical exertion. You’re pregnant. Pregnant women should only fast under doctor’s orders. Dry fasting can enhance ketosis, banish inflammation, and improve metabolic health, but it shouldn’t be done by beginners without fasting experience. To avoid any negative impact on your health, take the necessary steps to prep your mind and body before attempting your first intermittent dry fast. Next articleThe Ultimate guide to the Gut and How to hack Gut Problems ?